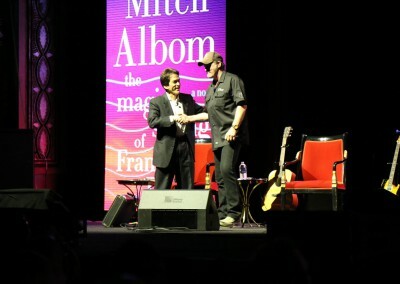 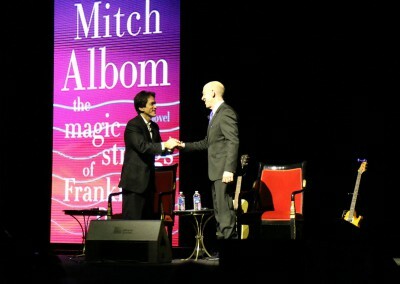 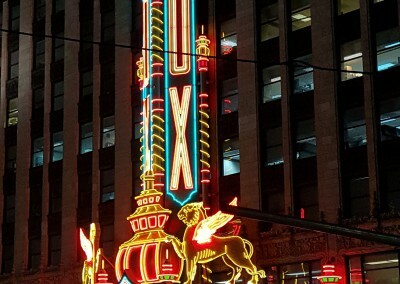 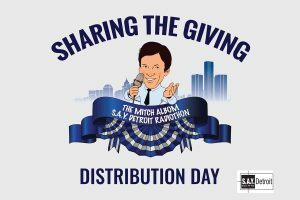 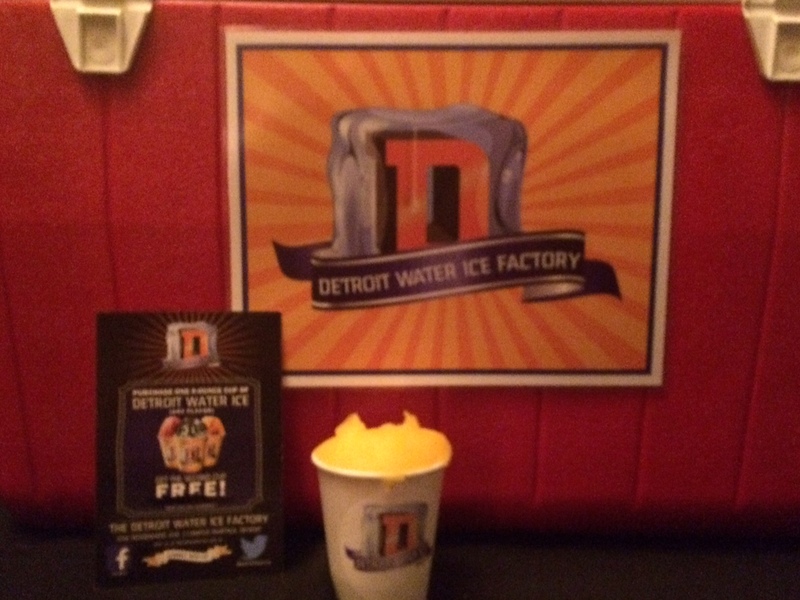 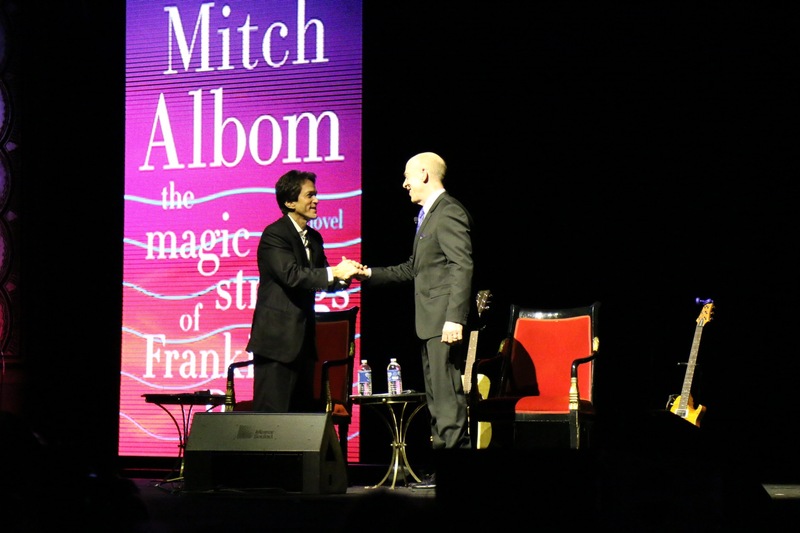 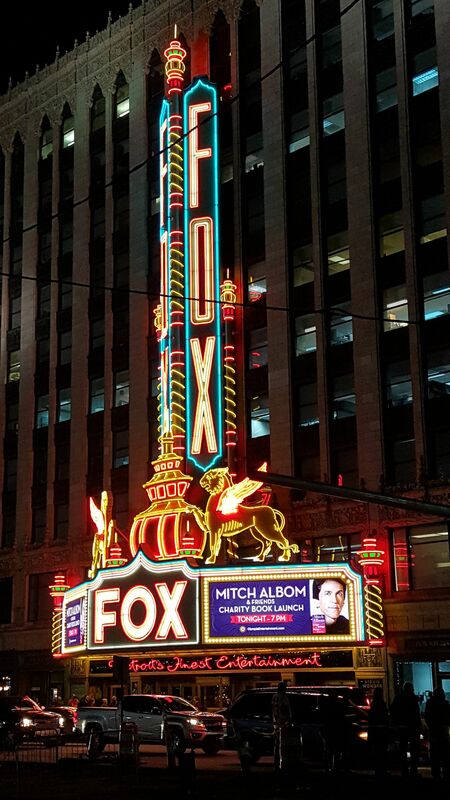 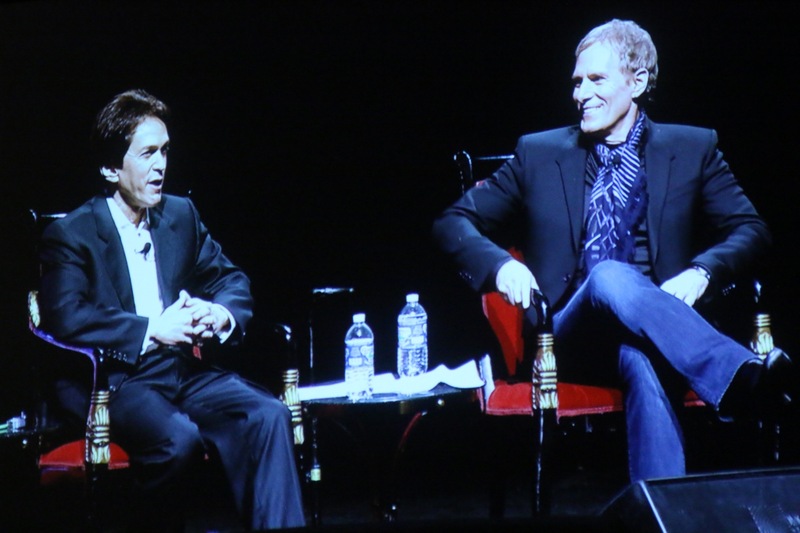 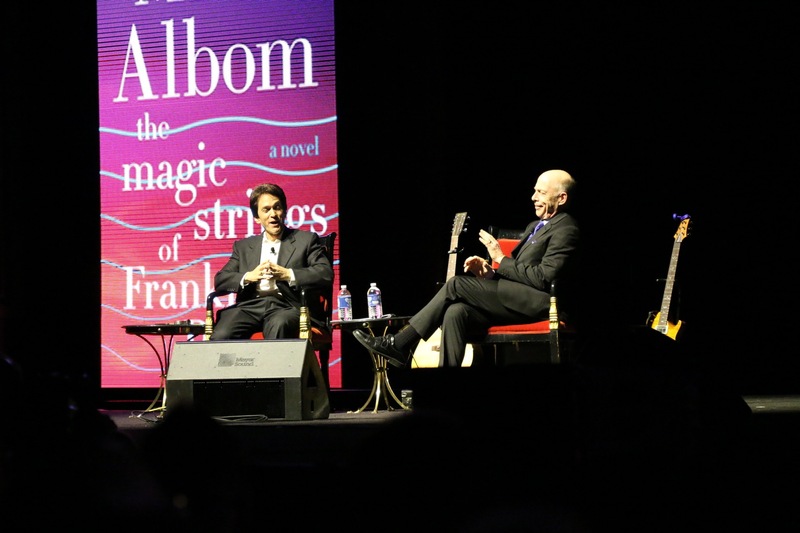 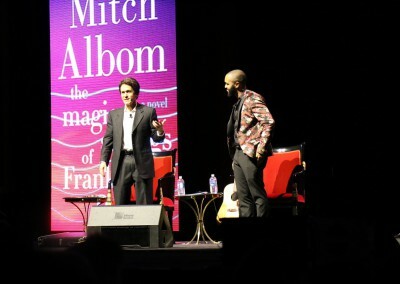 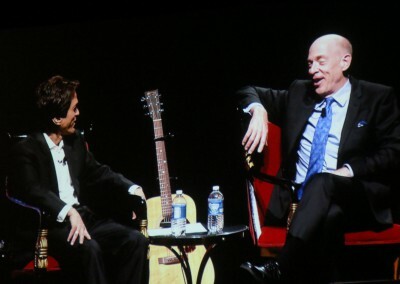 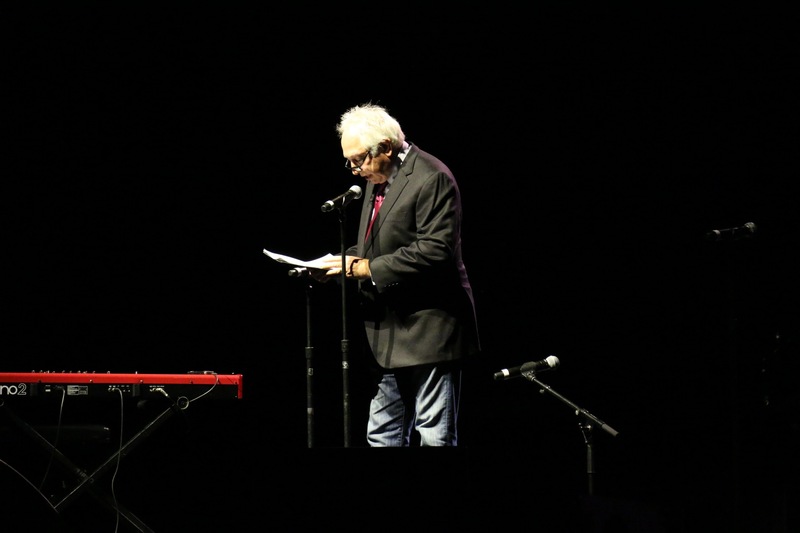 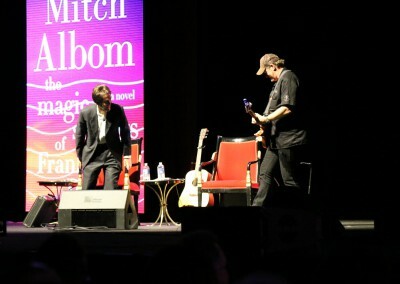 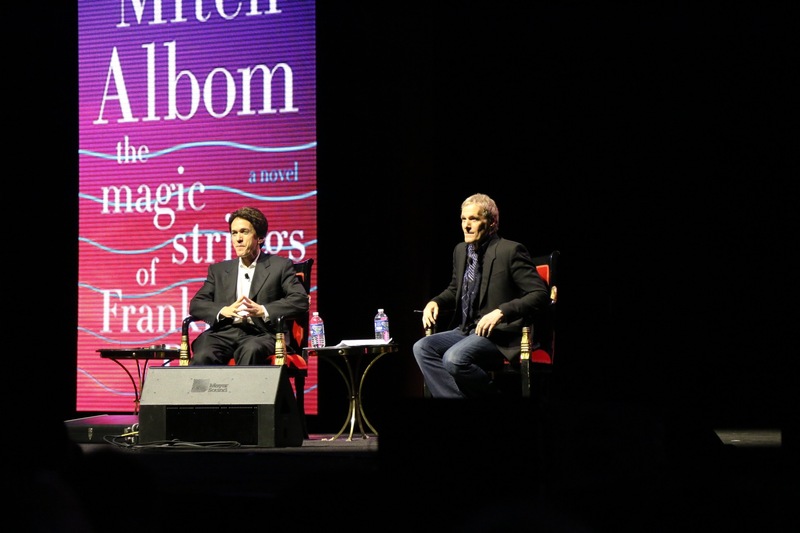 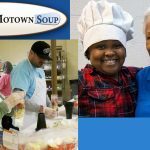 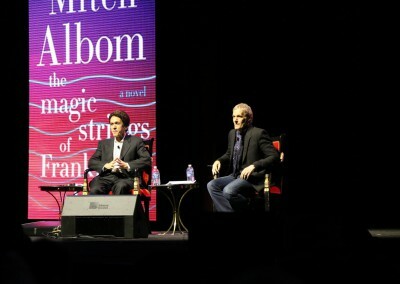 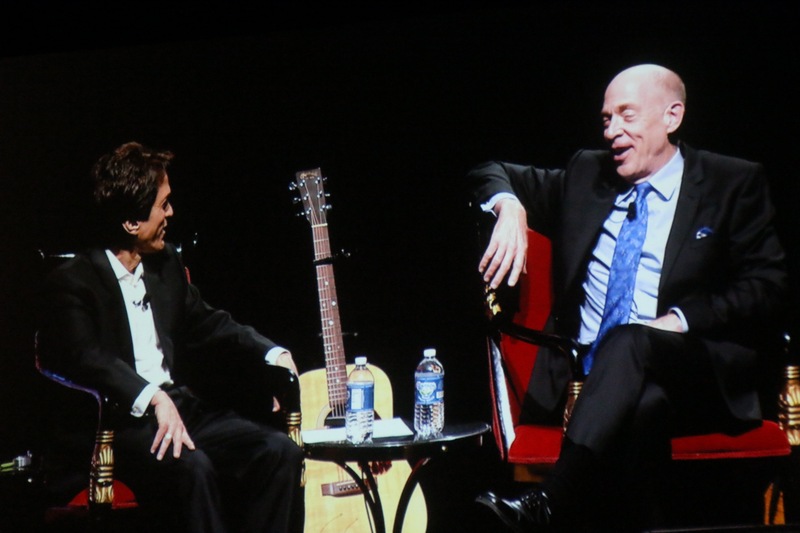 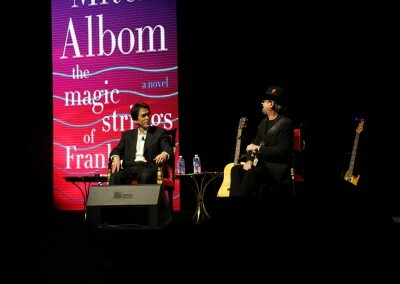 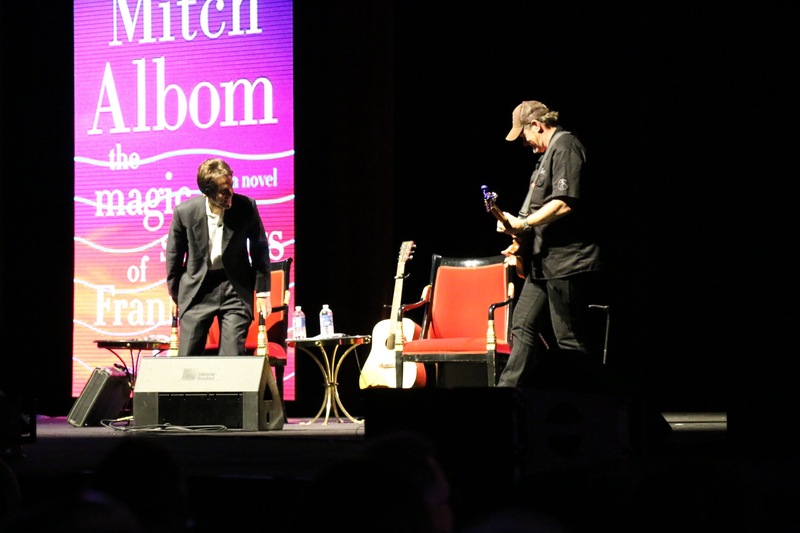 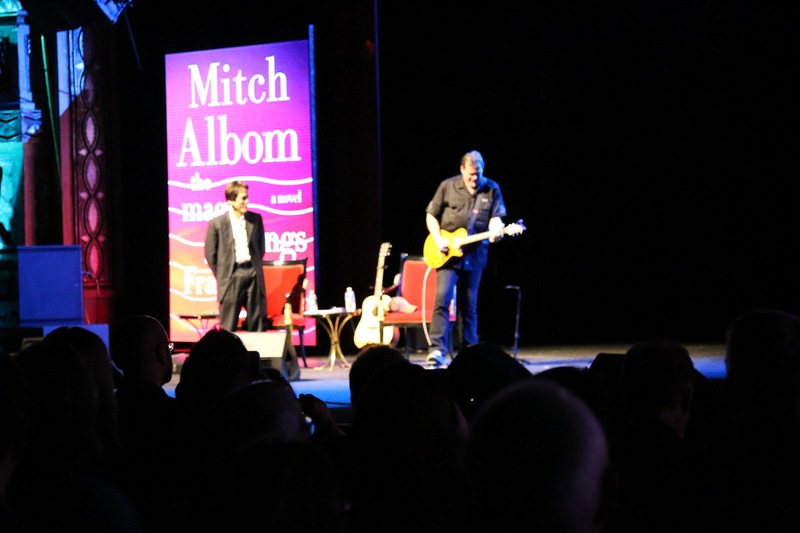 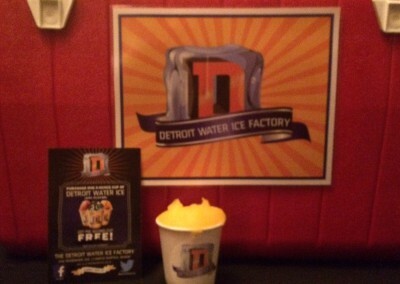 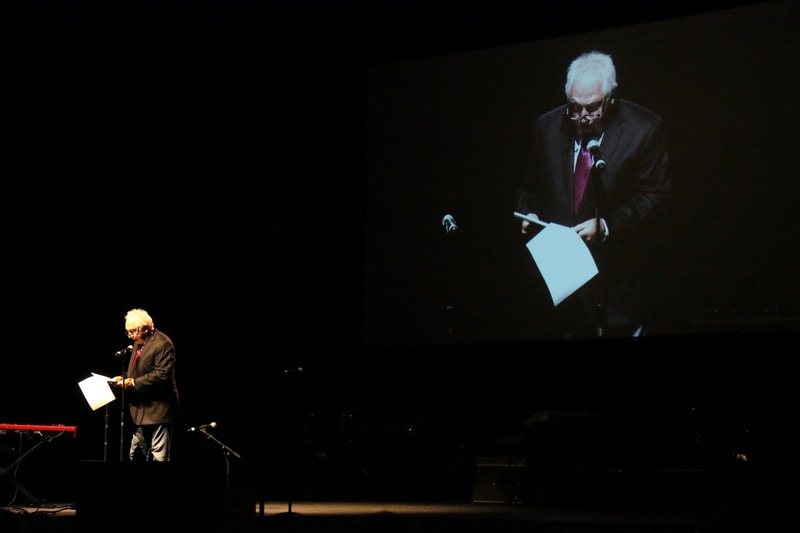 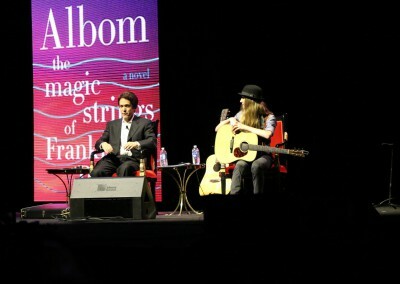 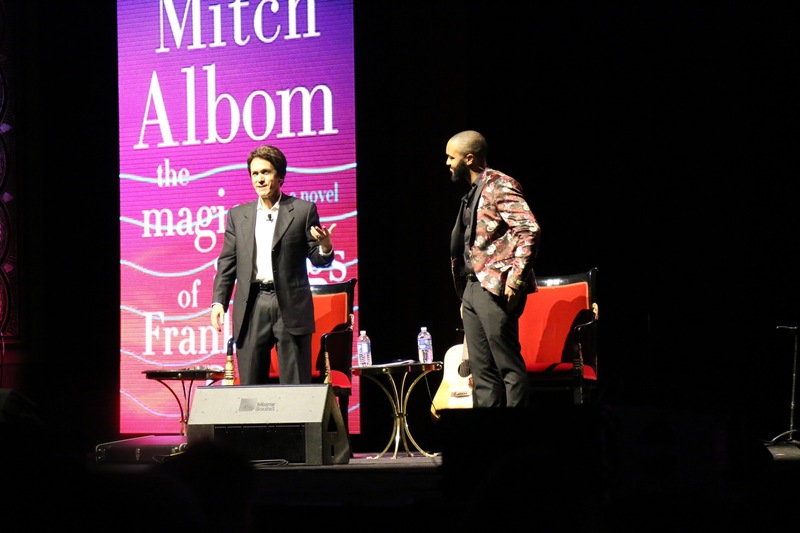 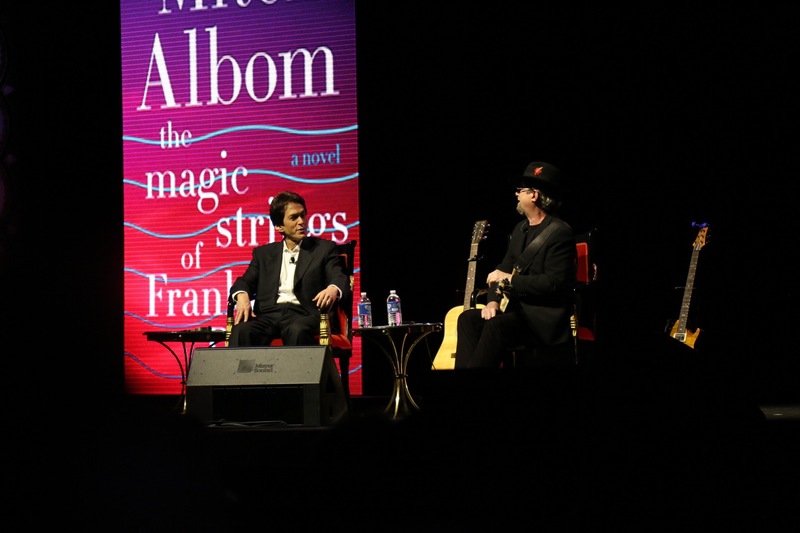 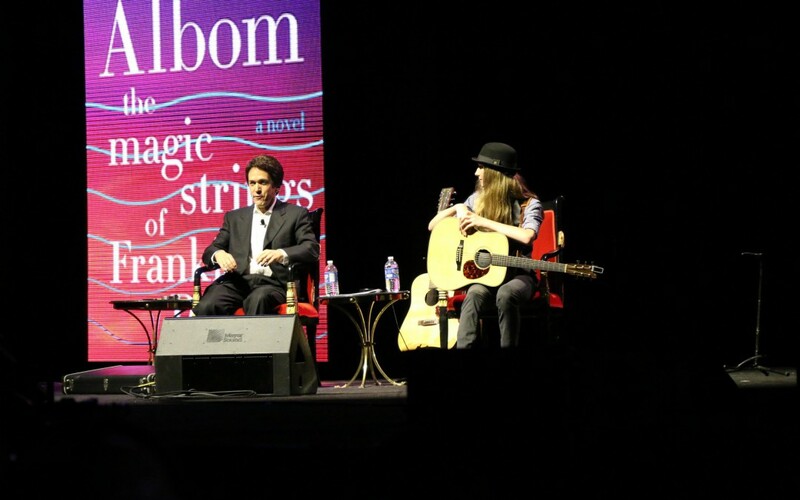 A roster of talented stars joined Mitch Albom at the Fox Theatre on Sunday, November 8th in Detroit. 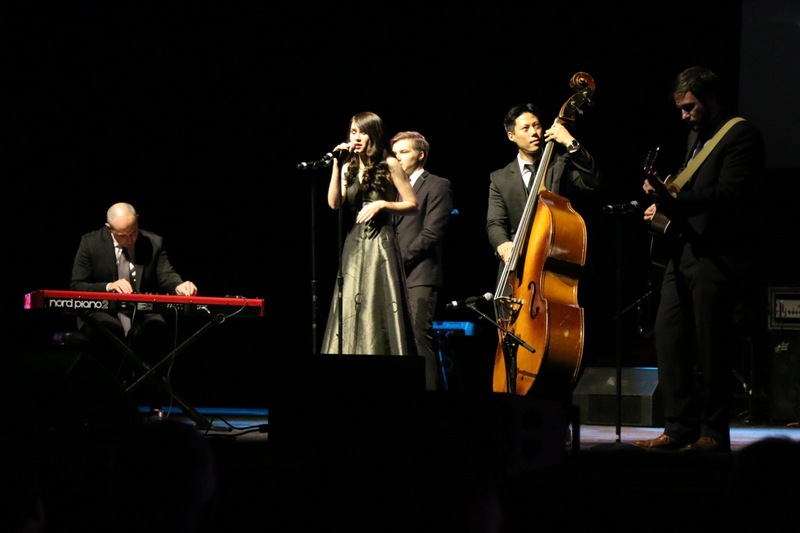 Dubbed “Words & Music,” it did what has never really been done before, certainly not on this stage: bring together such a diverse crop of musicians in a literary celebration for The Magic Strings of Frankie Presto, with all proceeds supporting S.A.Y. Detroit. 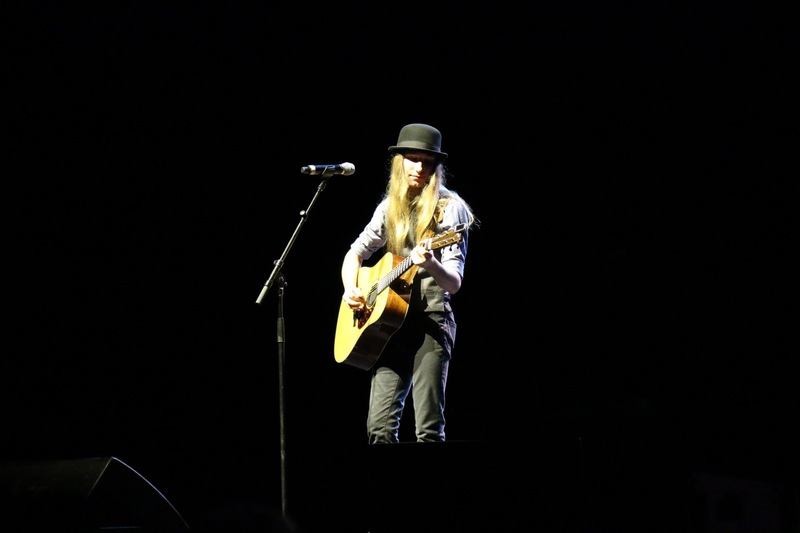 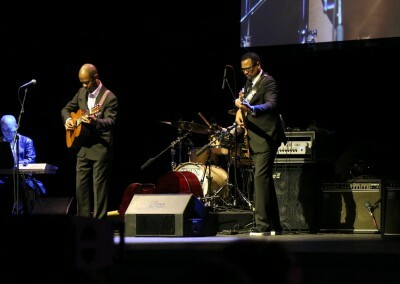 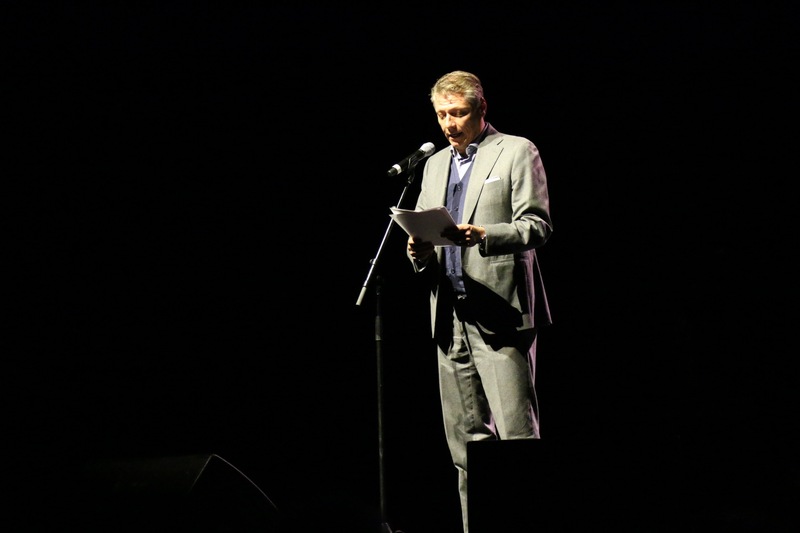 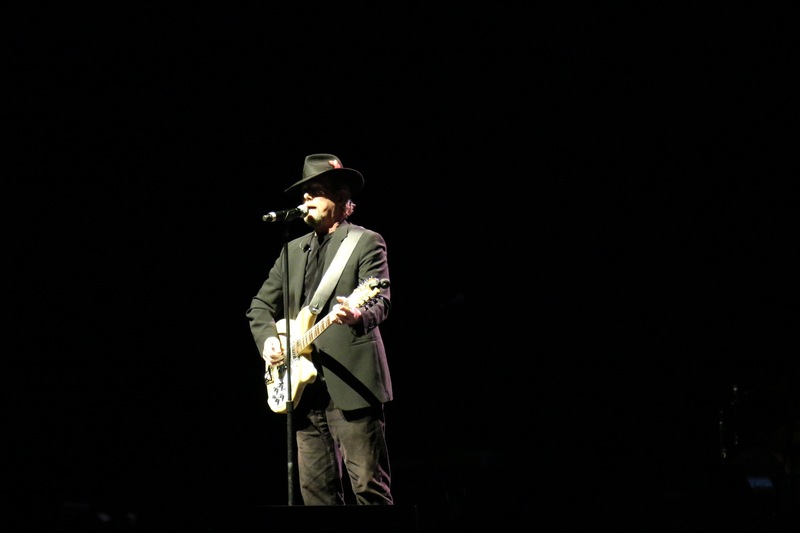 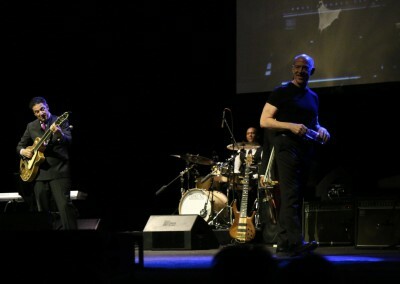 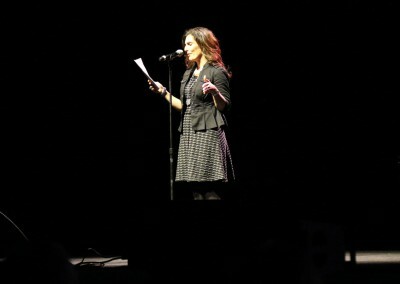 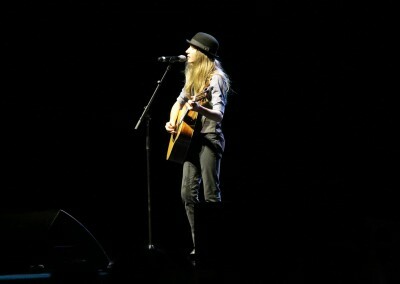 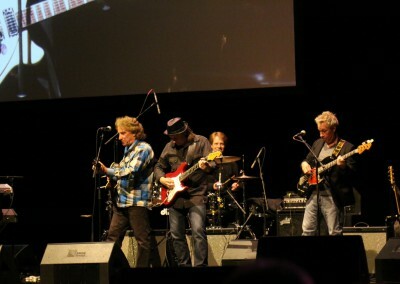 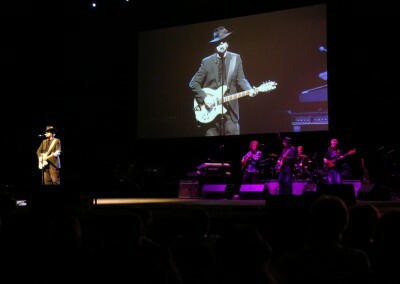 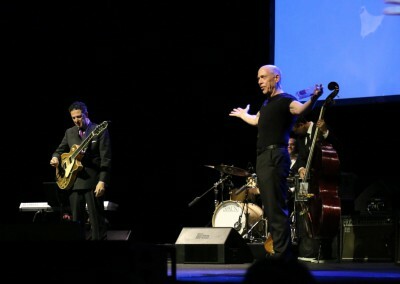 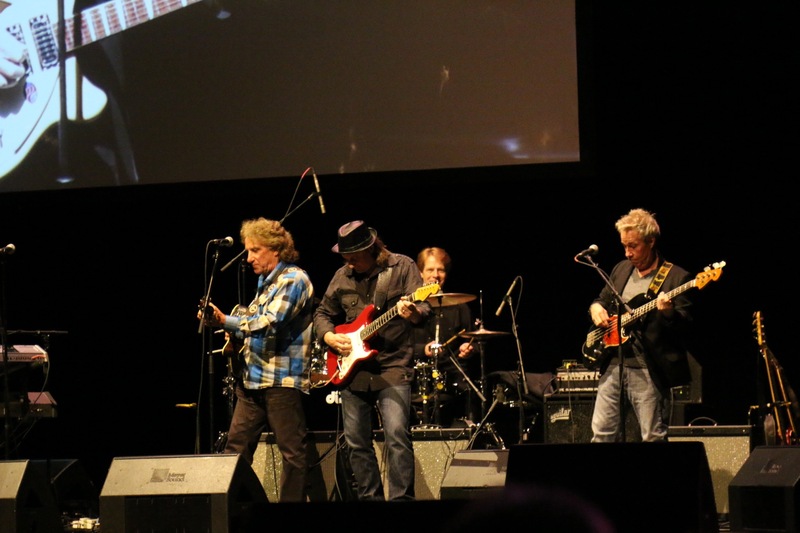 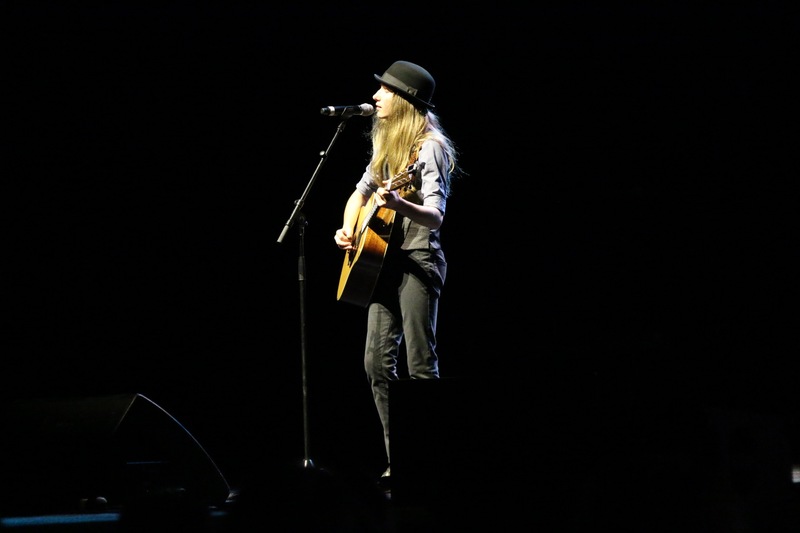 Michael Bolton, Sawyer Fredericks, KEM, Vito Lafata Jr, John Pizzarelli, Earl Klugh, Phredley Brown, Roger McGuinn, Olivia Millerschin, Brent James, and Ted Nugent brought their voices and guitars, while Oscar winner JK Simmons, actress Sarab Kamoo, Devin Scillian and Paul W. Smith read excerpts from the books. 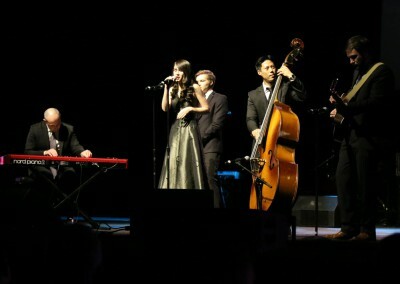 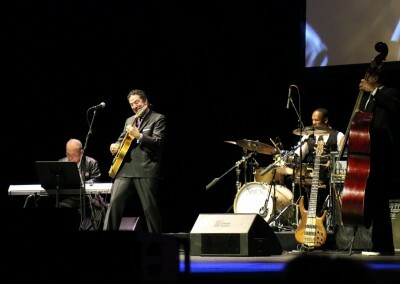 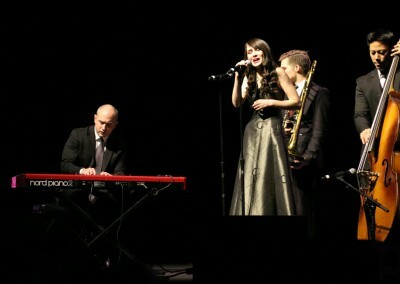 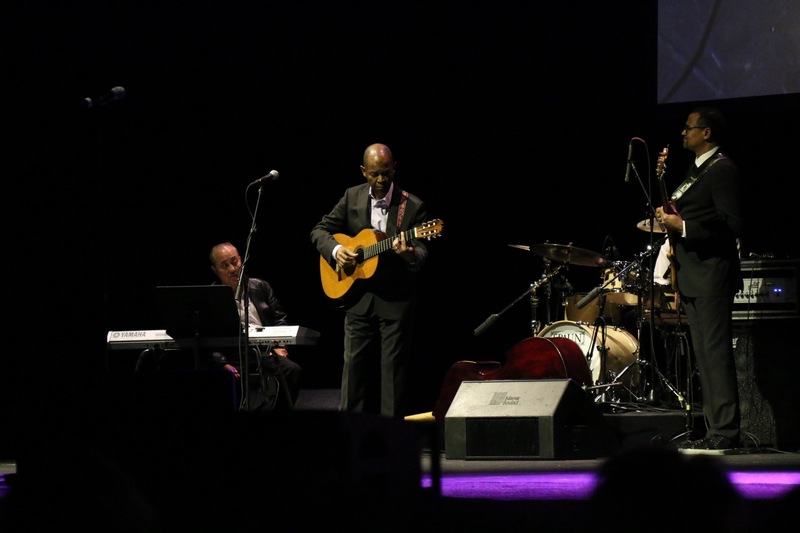 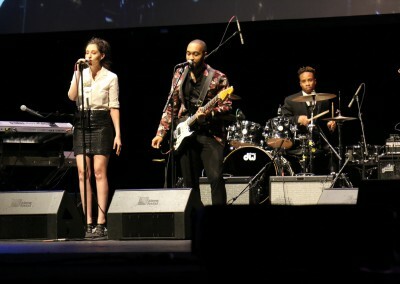 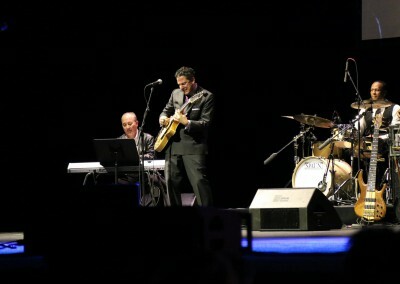 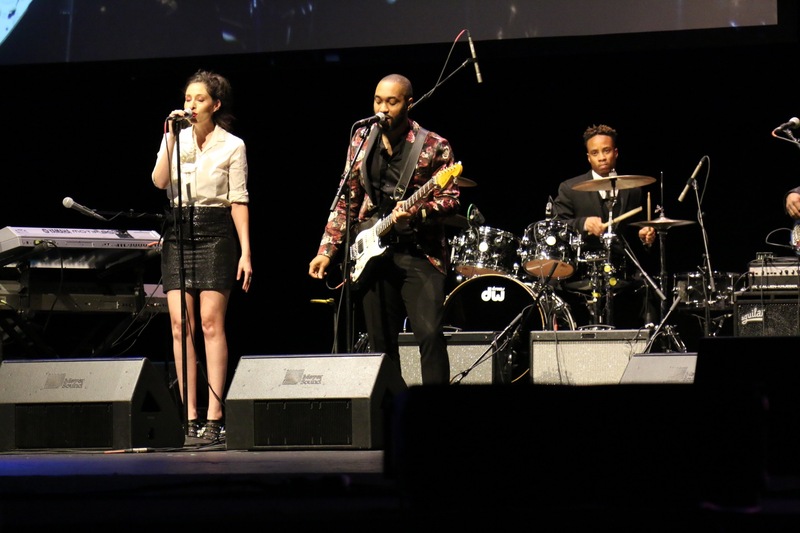 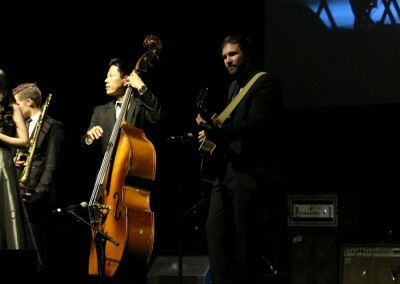 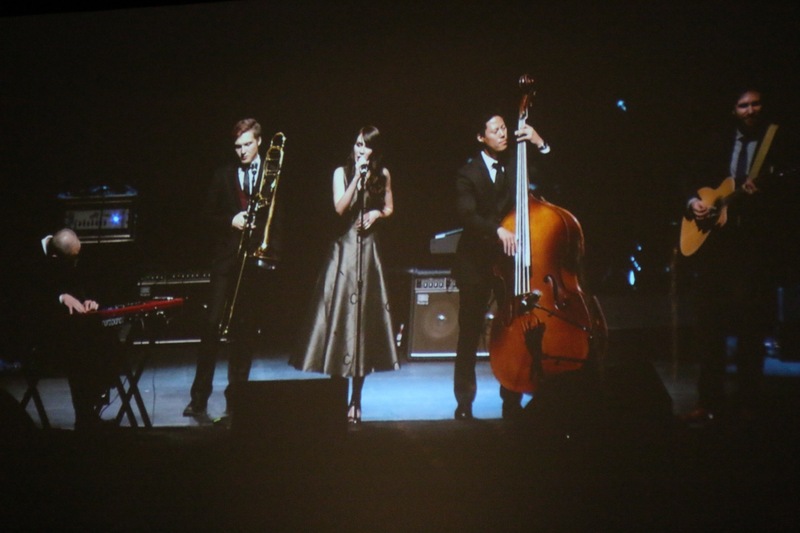 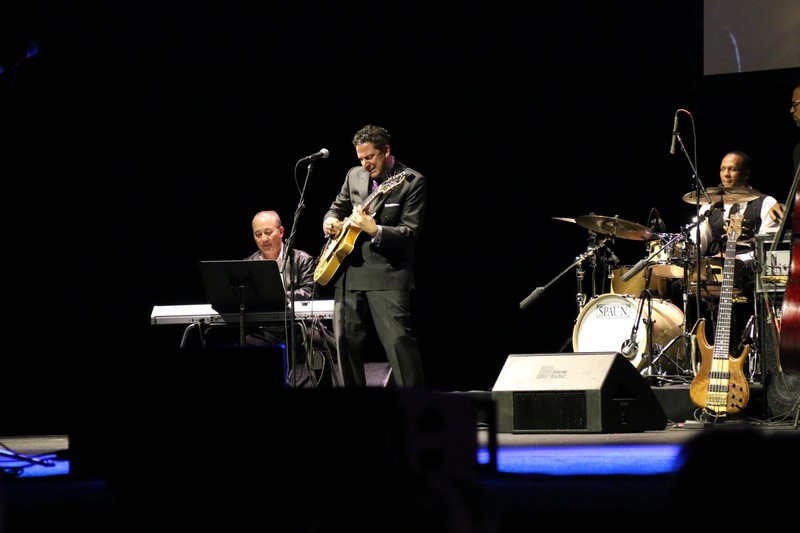 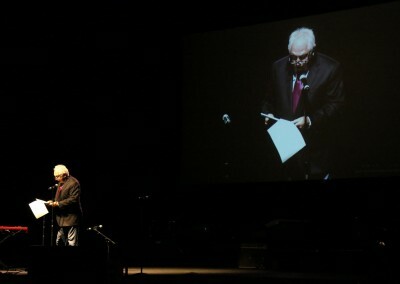 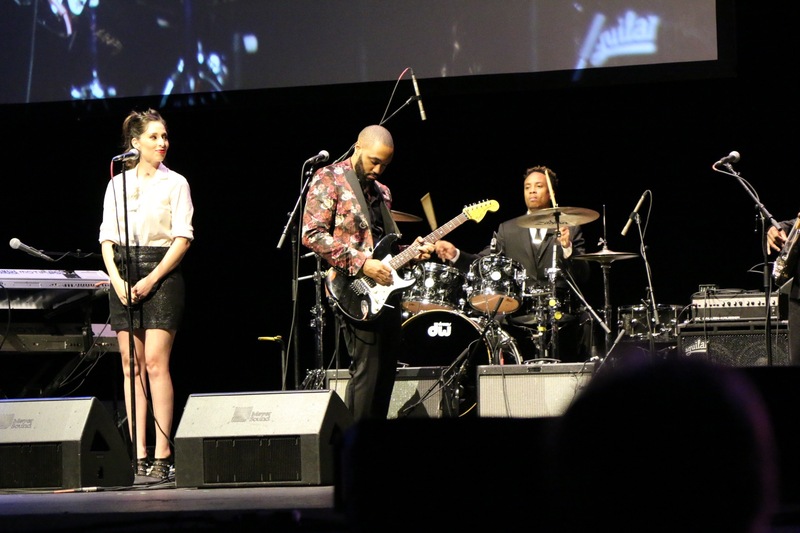 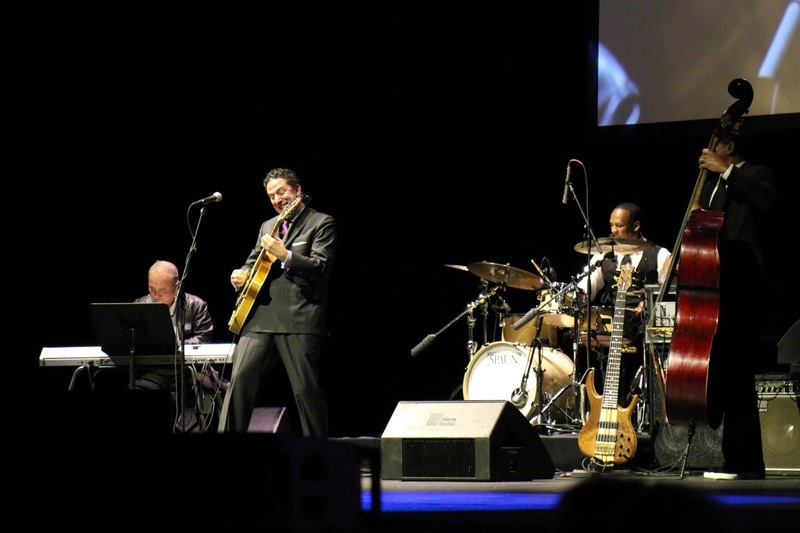 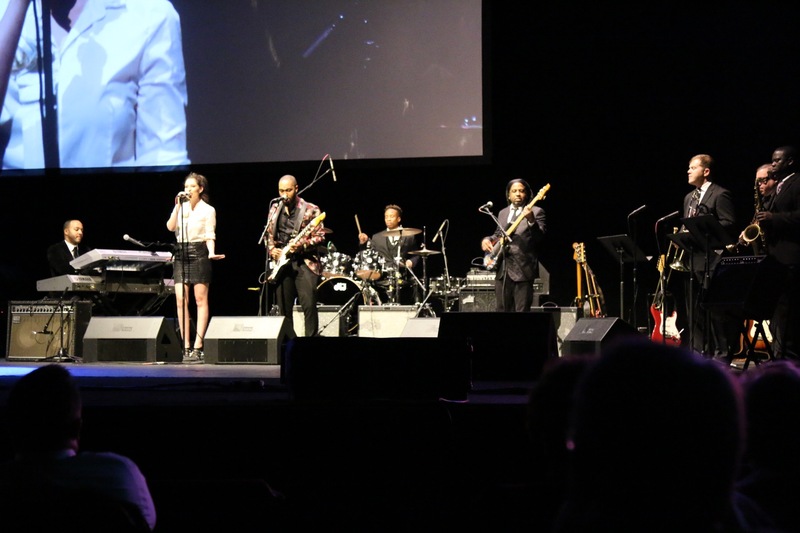 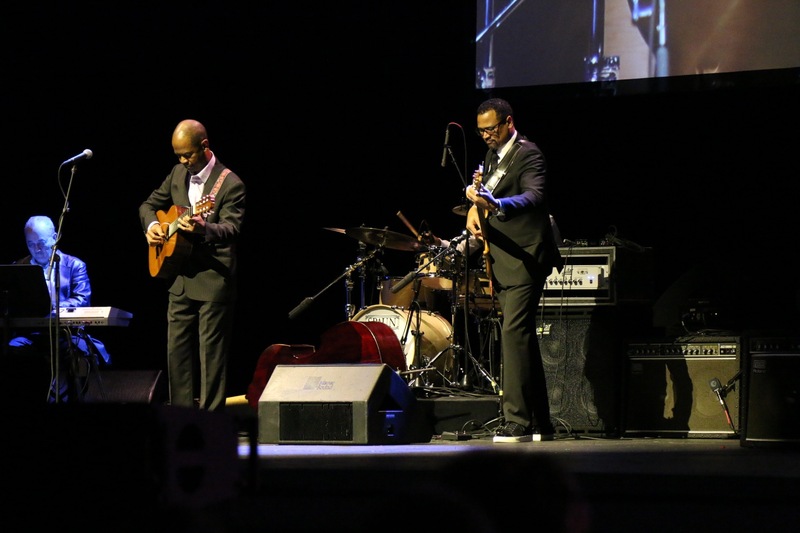 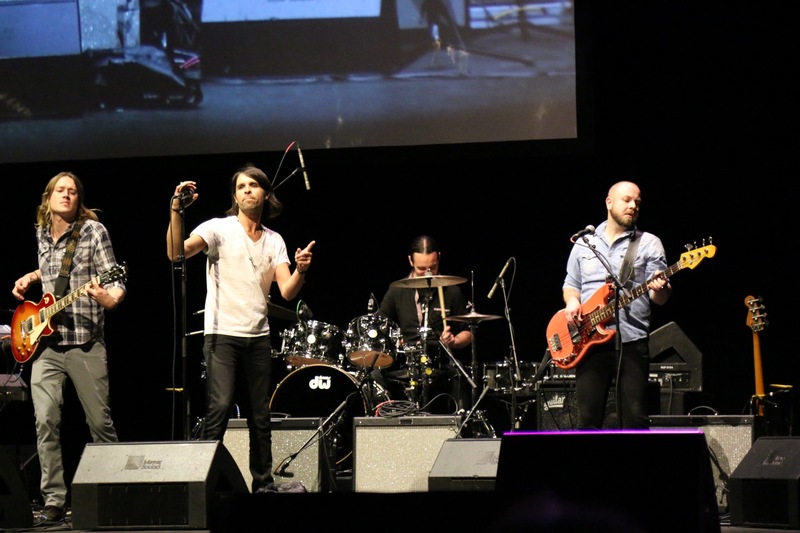 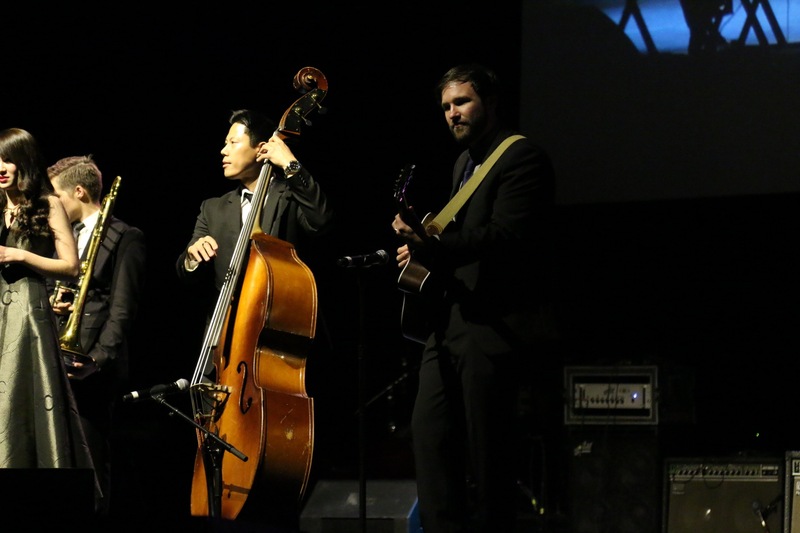 Brown, Fredericks, Millerschin, Lafata, James, and Pizzarelli each performed their songs that appear on the musical companion to Frankie Presto, the first soundtrack ever created for a book. 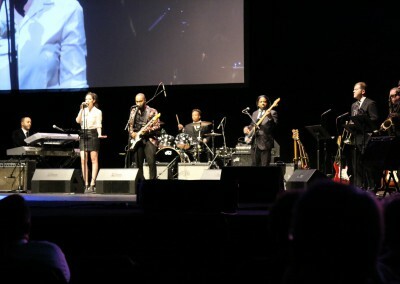 The night closed with a moving rendition of Lean on Me, led by Michael Bolton and joined by every artist featured that night.